Although SEO marketing has changed considerably since the early days, it is still one of the most powerful ways to get targeted traffic to a website, page or blog. These SEO quick tips can help you regain or retain those high SERPs for your small business site and continue to improve traffic, conversions, and profits. These tips for SEO use evergreen techniques that focus on the searcher or site visitor instead of the bots and spiders that crawl pages for search engines. The main goal of modern SEO is to provide value for real people. but current keyword trends really focus on phrases that people actually type in search engines. Many more people type, "How to get my dog to roll over" rather than simply "dog training." 2 - Find these phrases by exploring the intention of your small business website. Are you trying to sell a skin care product or get people to sign up for a newsletter so they can learn more? Instead of doing SEO for words or ideas, do it for purposes that benefit visitors. have become big players in the search engine optimization world. Interactions can boost rankings because when people talk about a site or something posted there, it rises in importance in the industry or subject. 4 - Go local. Directories and review sites that focus on local businesses improve search engine rankings these days. This is especially true for companies that have a physical, brick and mortar location, but virtual businesses who want to market to their community can also benefit. like mobile computing and voice activated computer usage. Every website needs to be mobile ready because an ever-increasing number of people access sites from their smartphones or tablets. Also, voice commands from systems like Siri or Cortana mean people are searching in different ways than ever before. to the small business websites. Although you never have to be a world-renowned writer or videographer to create content for a site or blog, knowing how to do so effectively will do more good than other SEO small business tips. 1 - Do not stuff a particular keyword or phrase into page content, an article or blog post. Major search engines are now working with algorithms that can recognize synonyms and related terms just as easily as a particular keyword. Write naturally and use plenty of words that all have to do with the specific topic. For example, if you are writing about dog training, you will also include terms that describe tricks you can teach or synonyms for training. and people value in-depth coverage of a topic more than a quick blurb about it. Most people use searches to find answers to questions or solutions to problems and the people who create the SEO rules know this. Web pages on your small business site and blog posts should be at least 1,000 words to make the most impact. that people are inspired to read it, share it with friends on social media sites and comment on it. The more sharing and interaction you get, the better that page will do in the SERPs. 4 - Include photos, graphics, and video whenever possible. Multi-media content on websites is ranked higher by search engines than ever before. Using unique graphics, pictures you took or created yourself or self-made videos have the greatest benefit because they are unique and more engaging for site visitors. 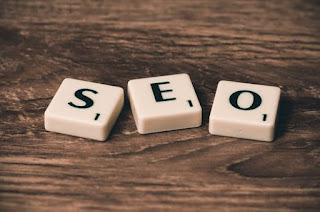 When presented with a neat list of SEO marketing tips for modern internet usage, small business owners may think the process can be done quickly and then left alone. In some ways, effective SEO does provide on-going organic traffic for the long term. However, the greatest benefits occur when the site owner or marketing team creates more optimized content consistently, builds brand recognition through social media and local directory presence and keeps tracking, analyzing and tweaking what works and what does not.